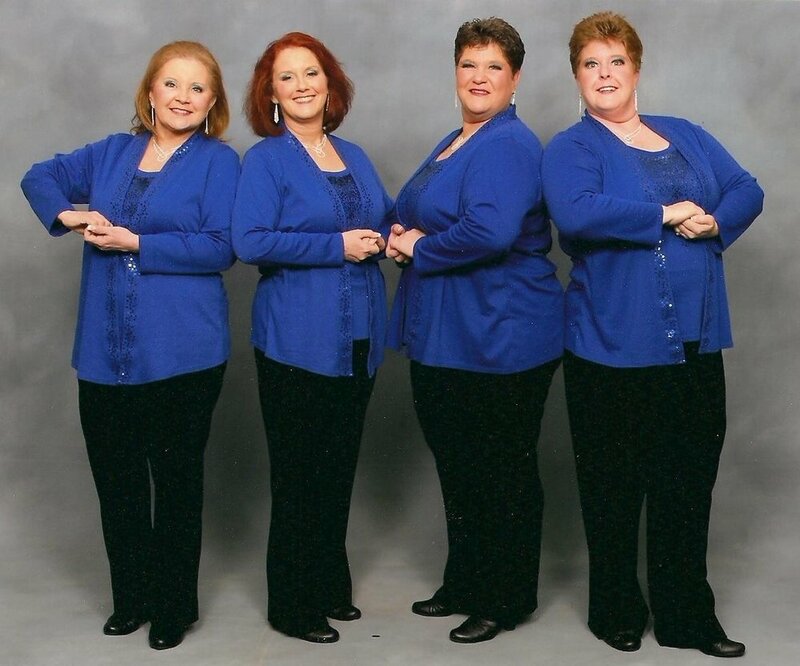 Bearfoot quartet has been together for five years, and are all members of Chesapeake Harmony Chorus. In 2013 they won the coveted "Novice Quartet" award in the Atlantic Bay Mountain Region 19 convention. In 2016, they won the "Audience Choice" award with their performance package. Eileen Robinson has been with the chorus for 10 years and has sung both lead and tenor, however not at the same time. With Bearfoot, Eileen sings tenor and in her other life is a registered nurse working as a transition guide with Johns Hopkins Hospital At Home program. Peggy Coulter has been singing baritone in chorus since she joined Sweet Adelines 17 years ago. However to satisfy her need for attention, she sings lead in the quartet. Peggy works for Johns Hopkins University in international laboratory quality assurance. Patti Platt has been with the chorus for 7 years singing baritone both in chorus and quartet. Patti spends most of her time in lingerie as co-owner of à la mode intimates in Annapolis, Maryland. Mindy Cassel has sung with CHC for 11 years and brings her mighty bass to the quartet. Mindy is pursuing her second BS degree in Information Systems while working fulltime in both web maintenance and shipping for Harley Davidson in Gettysburg, PA.